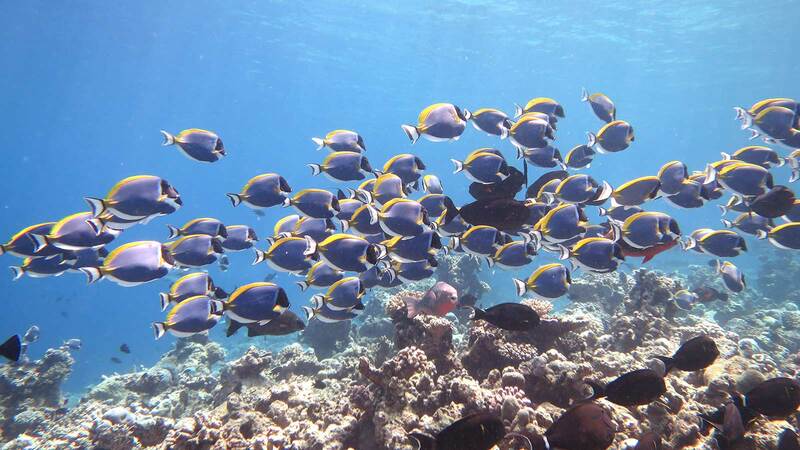 If you’re planning a family holiday in the Maldives get ready to enjoy the underwater world together. The treasures of the incredible underwater world will inspire and amaze children and adults alike and Prodivers Kuredu has a range of snorkelling and scuba diving activities available for families to enjoy. As long as a child can swim and is confident in the water they can join in with the snorkeling fun. Introduction sessions are held regularly in the shallow and safe lagoon; the whole family can learn how to wear the mask, use the snorkel and correct use of the fins. 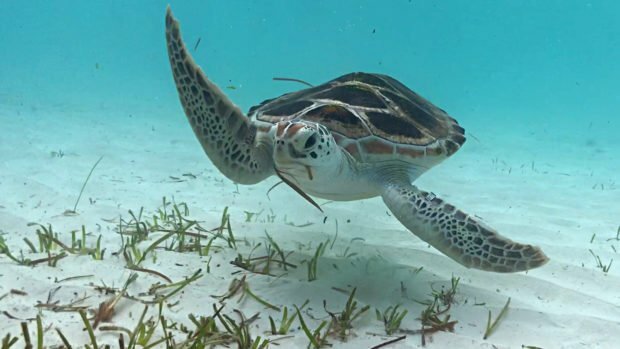 Snorkelling in the lagoon and over the sea grass meadows can be an extremely rewarding experience with colourful fish and turtles galore. Once confidence has been built there is a great house reef easily reached from the shore – either with a guide or in an independent group – it even has it’s very own wreck. 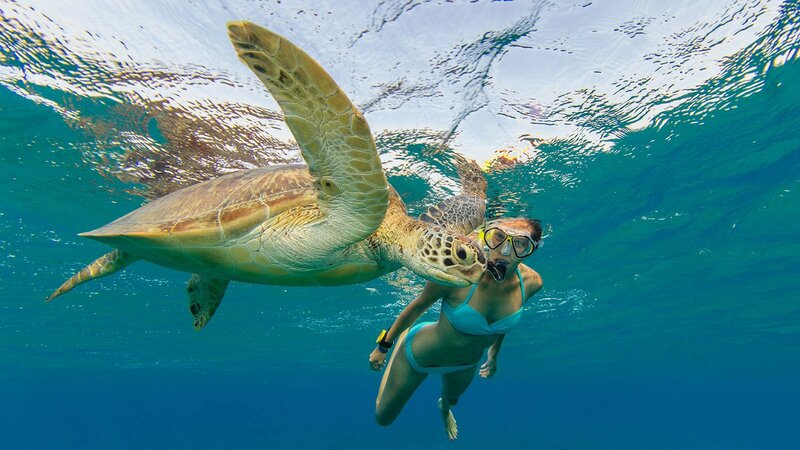 Those wanting to explore reefs by boat can join the half-day and full-day snorkel boats (both are possible for children from 4 years; trips to Caves or night snorkelling are from 8 years) with our snorkel guides – some trips are geared especially for families. Please check at the dive center for suitability of sites planned. Snorkel vests are available and advised for all children as an extra safety measure. 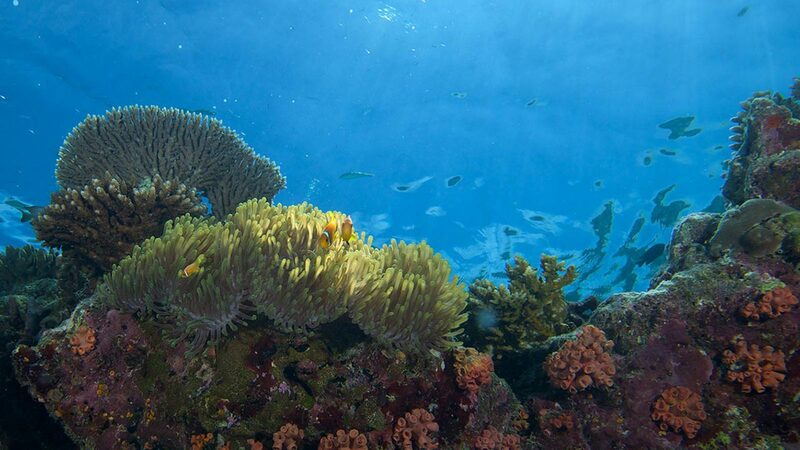 This is where the memories are really made – who will ever forget the first time they breathed underwater? – just those bubbles alone are enough to create endless excitement and then bring in the fish and it’s underwater smiles all the way! Children as young as 8 years old can get involved in diving activities under the expert guidance of our PADI Instructors and from aged 10 they can take part in diving activities in a family group with the adults too. PADI Bubblemaker – 8 and 9-year-olds can experience the fun of breathing underwater and swimming around the shallow lagoon along with the fish and perhaps even a turtle too. PADI Discover Scuba Diving – first session in the lagoon to get familiar with the equipment, then two shallow dives on the reefs. No studying, no course, just fun, fun, fun! 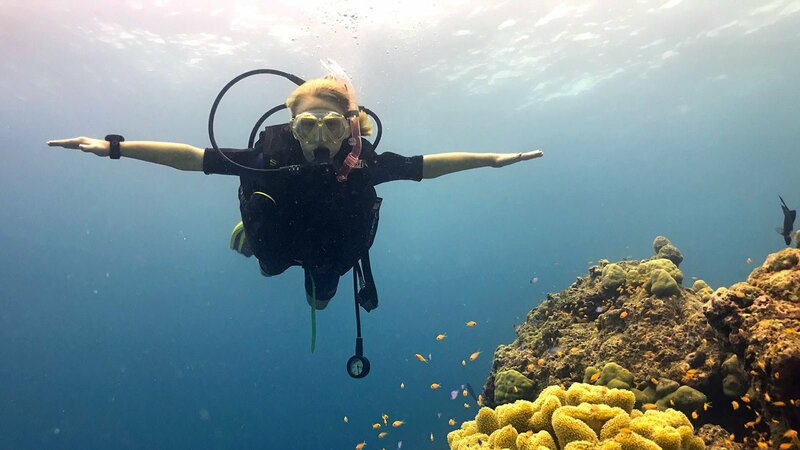 PADI Scuba Diver – Learn a few skills in three theory and lagoon sessions and then complete two open water dives on the reefs and you get a certification allowing you dive accompanied by a PADI professional pretty much anywhere in the world. PADI Open Water Diver – the above course plus two more theory and lagoon sessions and two more open water dives – this gives participants the full PADI certification allowing them to dive anywhere in the world along with a qualified dive buddy. 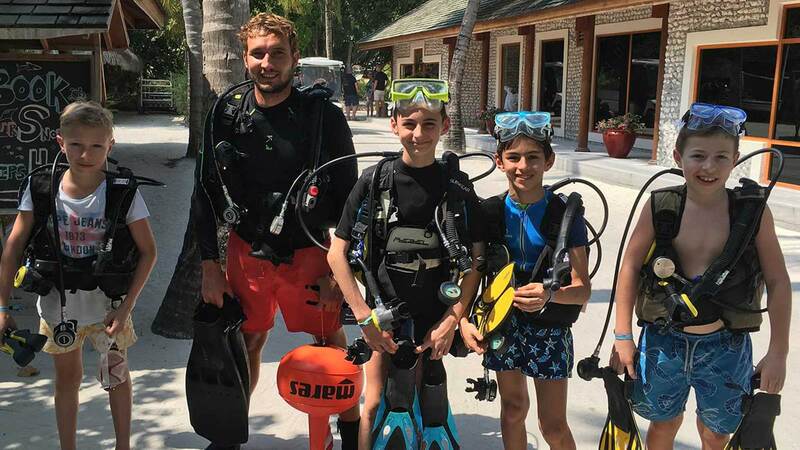 Your family group can then join our dive boats as qualified divers! Those who are too young for diving or snorkeling can still see amazing things – simply take a walk along the shoreline to see the nursery of baby rays and sharks along with countless fish – you’re never too young to start appreciating the ocean! The ticket to a lifetime of adventure starts at Prodivers Kuredu – the perfect place for the family to snorkel and dive.